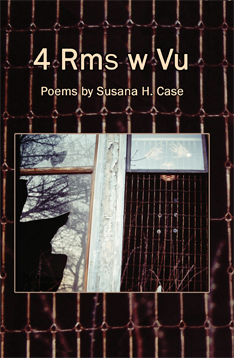 Susana H. Case, author of 4 rms w Vu, will read from her work at the legendary Cornelia Street Café on Friday, April 18th, 2014. The reading starts at 6pm. Susana will be joined by Julie Danho, Peggy Ellsberg and Mervyn Taylor. All of the authors have connections to Salpering Hol Press, a publisher of chapbooks and anthologies. Here is the event’s page at the Café’s website. Admission is $8.00 and includes a drink. The Café also serves fine food.